Additive manufacturing, otherwise known as 3-D printing, can be used to manufacture porous electrodes for lithium-ion batteries–but because of the nature of the manufacturing process, the design of these 3-D printed electrodes is limited to just a few possible architectures. Until now, the internal geometry that produced the best porous electrodes through additive manufacturing was what's known as an interdigitated geometry–metal prongs interlocked like the fingers of two clasped hands, with the lithium shuttling between the two sides. The microlattice structure (Ag) used as lithium-ion batteries' electrodes was shown to improve battery performance in several ways such as a fourfold increase in specific capacity and a twofold increase in areal capacity when compared to a solid block (Ag) electrode. 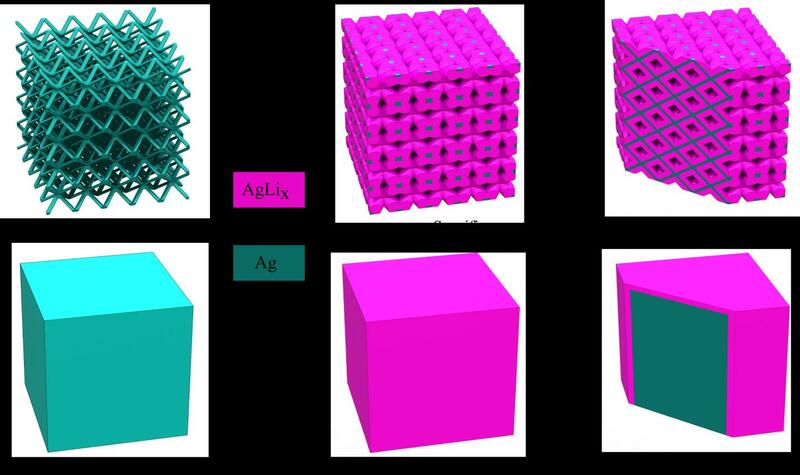 Furthermore, the electrodes retained their complex 3D lattice structures after forty electrochemical cycles demonstrating their mechanical robustness. The batteries can thus have high capacity for the same weight or alternately, for the same capacity, a vastly reduced weight–which is an important attribute for transportation applications.